OneNote is one of my favourite applications for keeping organised and I will definitely be making more of this application at my school this year. I have written about OneNote before so I don’t want to repeat myself, but there are a number of reasons why this application has really captured my attention for personal use and use in my lessons. I love the fact that the application is free and that it is a cross platform tool. I can access it from my phone, my tablet and my laptop. You need to have a Microsoft account to access your OneNote. My learners also use OneNote online. Hopefully this year we’ll be accessing Office 365. I like the way a OneNote notebook resembles a binder. I feel as though I am really organised when I use OneNote. Once you are in OneNote you create a notebook…as many as you like. You can use sections to divide your notes into the categories that you want. You can even choose a colour for each section. Best is you can then divide each section into pages – as many as you want for that section. You can even password protect a section if you want to. This makes for organisation! I also love the fact that you can add text, audio, video and drawings to OneNote. You can attach most common files to OneNote as well. If you use OneNote on a touchscreen device such as your phone or a tablet you can use OneNote’s great inking feature to write hand written notes, draw diagrams, or annotate images etc. While you are busy creating notes you can also add audio and talk about the ideas that come to you as you work – and capture them! 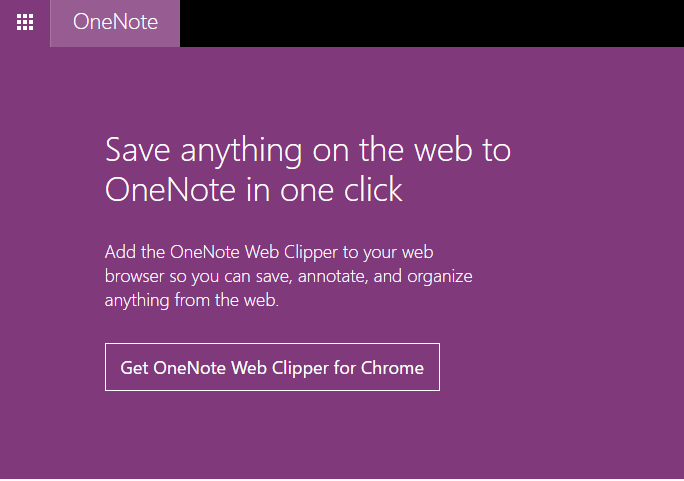 I like the idea of using the OneNote web clipper when I surf the net. I mainly use the Chrome browser so I have installed the OneNote Clipper extension. The OneNote Clipper can be used to save any page directly to OneNote without the clutter. All of your clips are saved to the Quick Notes section of your default notebook. 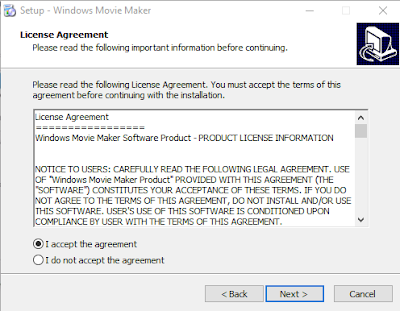 You’ll need to install OneNote Clipper and sign in. You can't go wrong with OneNote. Whether it is to use at school with your class, at work or for personal matters, OneNote is a hit! Do you know AudioNote? It is a notepad and audio recorder for iOs, Android, Windows and Mac! I have been using it for a couple of years now on my iPad (https://goo.gl/sgRwW3) and on my Windows 10 laptop (https://goo.gl/Q9ydwR). Whenever I am in a workshop, lecture or any situation where I need to take notes linked to recorded audio, I use AudioNote. AudioNote has a free and a paid version. 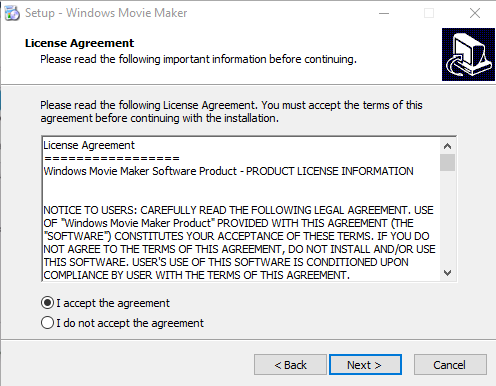 I used the free version for quite a while and then moved over to the paid version for a longer recording time limit. Say for example you are in a lecture and you are taking notes, As you take your notes, with the sound recording on as well, AudioNote indexes your notes by putting the times in the margin as the talk progresses. When you are reviewing your notes later, and you can’t fully remember what was said, you just click on the time slot to get to the actual point in the lecture where the speaker was talking. You can also highlight information, draw sketches and add images to AudioNote. It can be used by anyone – learners, students, business people, an whoever has the need to use typed and written notes. It can be used in meetings, interviews, conferences, lectures, study sessions, lessons at school. Sometimes, to be honest, I simply record the talk! You can even use Audionote personally – by writing down ideas and talking about them as you do so! How can a learner use AudioNote? Learners can take notes and recordings. They can adjust the backgrounds to include lined writing paper, graphing paper, or white canvas paper. 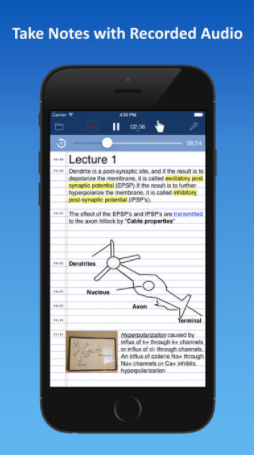 Afterwards they can pause and edit their notes, highlight important key words, and add presentation slides to annotate at various pointsThe typed notes sync to the audio recordings and on playback the types notes will highlight in a different colour when timed correctly. They can save their notes to Dropbox or iCloud, Using file sharing in iTunes, Dropbox, or iCloud, they can access their notes on a desktop computer. How do you listen to your playbacks? Obviously you can listen to them in AudioNote itself. Notes are saved as CAF audio files. However you can also export them from AudioNote as audio in which case they are saved as .wav files in whatever location you choose. Windows Media player opens .wav files. 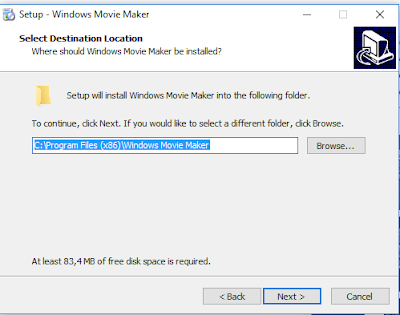 If you have downloaded the superb free program, Freemake video to audio converter, (I have written about Freemake software before) you can convert the .wav file to MP3 and save it in the location of your choice. I can recommend this application! 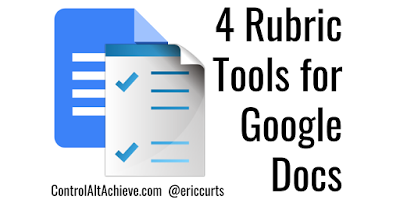 After looking through all the Google posts that were shared to various subscriptions recently, these are a selection that look useful for teachers https://goo.gl/GyT8Tr . (The link to previous posts can be found here https://goo.gl/CNO3M2). It seems there IS still a way to download and use this program! It was worth a try! To cut a long story short…I tried following the directions and IT WORKED! So I thought I would share it in case you would like to do the same. 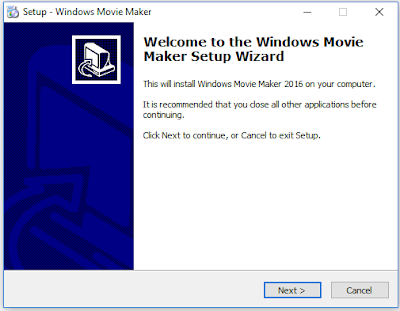 So, let’s get started on the first part of getting Windows Movie Maker. It gets a bit complicated after that, and for this part you’ll need to follow the video like I did. What I did is I followed the instructions in the video step-by-step and just paused it while I tried to work out what to do! It is a bit of an irritating video because it is only music and a demonstration - no verbal instructions, but it worked. The video has had 209,000+ views so there are obviously a lot of people wanting to get back Windows Movie Maker! Try it. You might be successful like I was! After looking through all the Google posts that were shared to various subscriptions recently, these are a selection that look useful for teachers https://goo.gl/BaagZ2 . (The link to previous posts can be found here https://goo.gl/CNO3M2). Webinar recording and presentation download link for 'Putting your story on the map with Google Tourbuilder' by Linda Foulkes. On Thursday Thursday 30th November 2017 at 3:15pm (GMT+2) we held a free SchoolNet webinar entitled 'Putting your story on the map with Google Tour Builder'' which was presented by Linda Foulkes, SMIEE / Freelance Trainer / Consultant / Courseware Author / eLearning Content Creator at Foulkes@Work in the United Kingdom. How much do you know about Google Tour Builder? Google describes its product like this: "Tour Builder is a new way to show people the places you've visited and the experiences you had along the way using Google Earth. It lets you pick the locations right on the map, add in photos, text, and video, and then share your creation." Webinar descriptionLinda said, "Students and Teachers can create an interactive timeline-like experience to share information using features from Google Earth, Google Drive, YouTube, Photos, and so much more, using the free tool, Google Tour Builder. Creating a Google Tour transforms your traditional interactive map by adding in a multimedia component that helps students gain a deeper understanding of content. During this session we will explore Tour Builder and learn how to add locations, photos, video and descriptions to create a visual timeline of events." SchoolNet SA was invited to brainstorm at the Goethe Institut more than a year ago. It is most pleasing to now report on the outcome - a new Science learning app called I am Science which targets early high school girls in disadvantaged areas and aims to smash gender stereotyping in science, biased against girls and women. The initiative is being implemented by the Goethe-Institut with support from the GIZ and financial support from the German Federal Ministry for Economic Cooperation and Development (BMZ). The Goethe Institut was concerned that only 30% of science researchers in the world are women and the gender, digital and science divide has only increased in developing countries since 2013. Bridging this gap is complicated because its roots run deep. Unequal access to education for girls; gender stereotypes and poor access to science labs are just some of the obstacles in the way of girls being curious about science and technology. That's where I Am Science comes in. The project combines science activities; video, and digital learning with the dual aim of increasing curiosity in science and changing perceptions about girls in science. 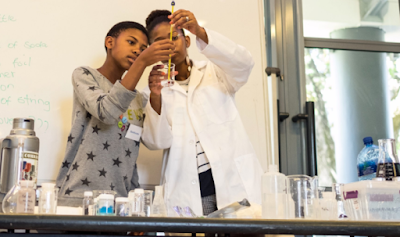 At after-school events, the project offers groups of girls the chance to do hands-on science activities and be professionally filmed doing these. The videos are then turned into video quizzes and published on a popular learning app: http://mylevelup.mobi/iamscience where other South African teens can earn data and airtime as a reward for doing them. Want to get more involved? 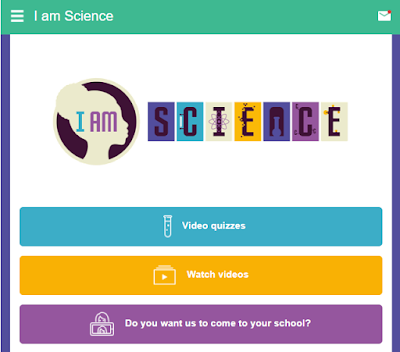 Teens can use the mobisite to apply for the I am Science team from the Goethe Institut to visit their school. Are you a teacher looking for unique, supplementary teaching content? The videos are divided into categories such as ‘Catalysts’ and ‘Air pressure’ on the mobisite and are a great way to introduce peer-to-peer learning into your classroom. Through I Am Science, teen girls will touch, hear and see the scientific concepts they’ve only heard about from words on a chalkboard. 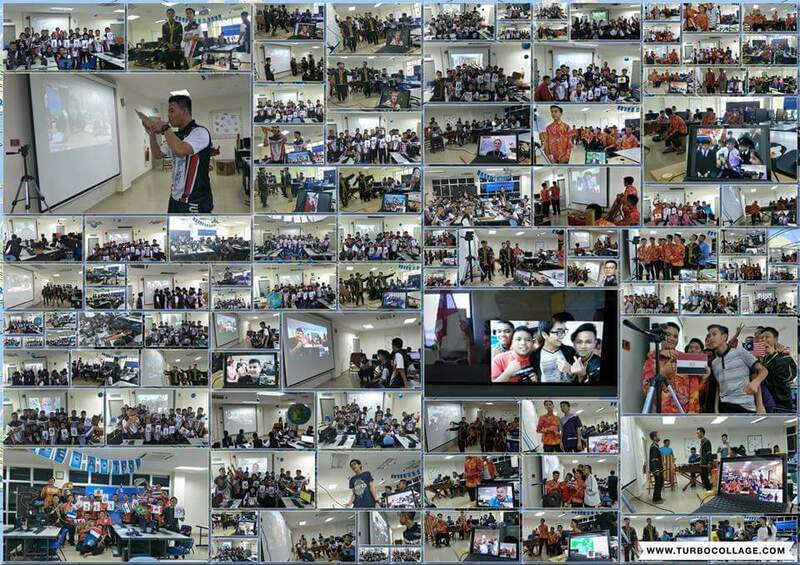 They are able to watch themselves and their peers in high-quality videos of science activities. They are able to say, ‘I am science’, because science is all around us. And it is for everyone, no matter who you are, or where you come from. SchoolNet South Africa has been conducting a fascinating research project over the past four years, called Learning Gains through Play (LGP) which is funded by the D G Murray Trust. 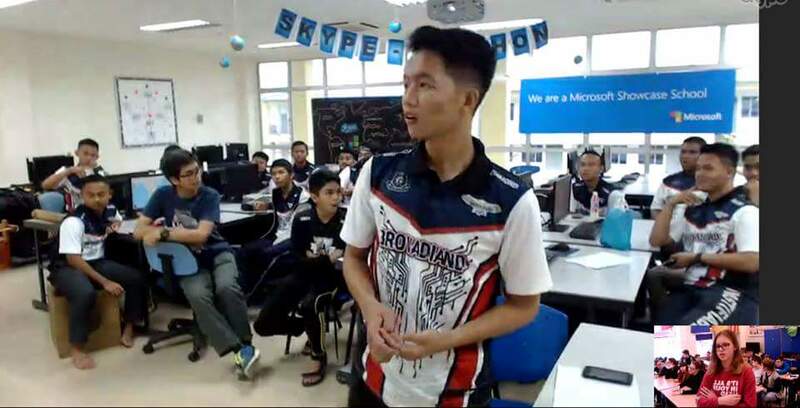 Ten schools received technology in the form of a bank of tablets with carefully selected apps and Xbox Kinect console, large-screen TV and games. 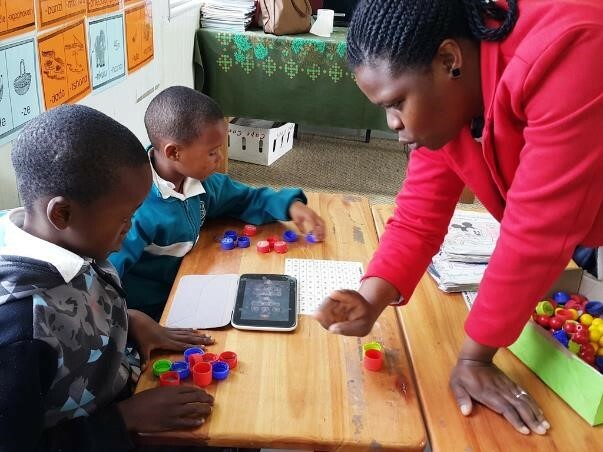 Teachers received personal tablets and intensive professional development training in mastering and embedding technology in classroom teaching and learning and learner-driven activities focusing on learning through play. A change-leadership course for school leaders and a peer-mentoring programme for participating teachers strengthened the project design by creating a supportive environment for these teachers to explore new pedagogies. The peer coaching programme ensure that the learnings from the training would be sustained after the project end. Learning Gains through Play Project learners were tracked over a four year period to assess their progress in foundational skills. Data was compared with control school learners who were assessed and tracked in the same manner (but did not enjoy the benefits of any of the Learning Gains through Play project inputs). While results showed improved achievement in all five foundational literacies of gross-motor skills, fine-motor skills, numeracy, visual literacy and oral English communication skills, it was the last of these that yielded extraordinarily substantial gains in learning. While all Project school learners showed improved achievement when compared to the Control school learners, one Project school stood out and above the others. This school was situated on the edge of the informal settlement of Asanda Village between Somerset West and the Strand. This school has almost 1300 learners and 36 teachers. The school is made up entirely of pre-fabricated classrooms and these are often plagued by flooding right up to their entrances and freezing cold or boiling hot inside temperatures depending on the season of the year. Despite the obvious challenges, there is a special kind of magic at play here at this school. Learners are in class and visibly learning during the day. 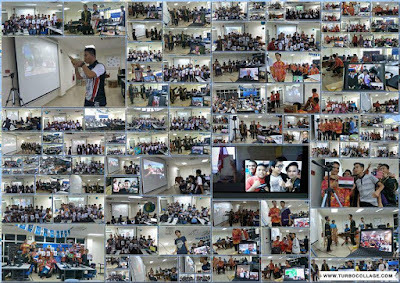 Teachers are in class, motivated and proud of their activities. The principal is resolute, and together with her deputy and HODs, they are a formidable team pursuing their goals and enacting their plans. There is a great sense of purpose and ambition at this school. When the LGP project began in 2014, the Annual National Assessments (ANAs) were still being written in South African schools. Grade 1 learners in all ten LGP Project schools and the two Control schools wrote ANAs for Language and Mathematics. These results provided a standardized comparison between all of the schools involved in the project at the start. When ranked according to their Grade 1 2014 ANA results, our Asanda Village school was ninth among the 12 schools involved. This poor ranking was confirmed in the LGP baseline assessments where this school was ranked 10th out of the 12 schools. These included the two project schools who occupied positions 5th and 6th rankings on ANA results and 5th and 7th rankings on LGP baseline results. Three years later, by the end of the Learning Gains through Play project, this school had risen significantly above all of the other schools to occupy 1st position on the ranking scale! This underprivileged school had made the greatest learning gains and achieved the highest overall final assessment results amongst the 12 schools. When considering the oral English skills assessed over the course of the project, the achievements in this school are extraordinary. All learners were assessed by means of a scripted interview, face-to-face and one at a time. Learner responses were analysed to place each learner on one of five stages identified by Professor Stephen Krashen, a world leader in Second Language Acquisition (SLA). According to Krashen, students learning a second language move through five predictable stages: Preproduction, Early Production, Speech Emergence, Intermediate Fluency, and Advanced Fluency. This Stage 1 of “Preproduction” is also known as the “Silent Stage” and the vast majority of learners (both Project and Control) in the Learning Gains through Play project were assessed on this level at the start of the project. Learners were tested each year at the same time of the year through Grade R, Grade 1, Grade 2 and Grade 3 and their progress through the SLA stages recorded. All learners were isiZulu or isiXhosa speakers at home and were taught at school in these same languages. This graph shows the progress of the Control learners. Even though formal English Additional Language learning was introduced from Grade 1, the bulk of the learners (57%) were still stuck on the Silent Stage 1 after the four Foundation Phase years. Learners at the school in Asanda Village started behind the Control learners and learners at the other Project schools as 100% of their learners were on the SLA Silent Stage 1 at the beginning. Initial progress was small, but by Grade 2 there was a considerable difference between the oral English skills of this school’s learners compared to the Control learners. By Grade 3 the majority of Control learners (57%) were still on Stage 1 while 100% of this school’s learners had progressed beyond Stage 1 with half of these already at Stage 3 (almost four times the number of Control learners at this stage). All Learning Gains through Play Project schools received the same project inputs and benefited from change management training for school leaders, teacher professional development workshops, (not just to use the technology but focusing on new pedagogies to integrate the technology and encourage learning through play) and regular visits from Western Cape Education Department e-Learning officials and the SchoolNet team. Yet this need school outperformed all of the other schools, so what is their secret of success? The Principal, and her Deputy, were personally involved in the LGP project right from the start. When the project was first initiated, the principal consulted with the teachers to prime them and to reassure them of her support. She approached the School Governing Board (SGB) to secure their buy-in and their backing. They agreed to fund the cost of transporting the teachers to the professional development workshops over the three years ahead. The Deputy Head took responsibility for the security and maintenance of the technology and both leaders kept the teachers encouraged and supported especially at the start through the challenges of mastering the technology. This visionary lady principal could appreciate the value of using technology in all classrooms at her school. By the end of the LGP project, she had secured additional tablets and had devised a plan to use the LGP project teachers to share their newly-acquired expertise with the teachers of other grades at the school on how to effectively use digital tools and resources for learning. The teachers of all the grades throughout the school were made aware of the LGP project and the feedback from workshops was shared so that other phase teachers could also support the LGP project. The Foundation Phase HOD and the Grade 1 HOD, was an enthusiastic “early adopter” of the technology and actively assisted the straggler teachers to keep up. When one scratches a bit below the surface, it is clear that this school is made up of many teachers who share admiring and supportive relationships, not only at work but in their personal lives too. School leaders and teachers share car lifts home after afternoon workshops; teachers are long-serving and friendships between teachers from their first appointments together exist and grow as they further their studies together. There is an optimistic, dynamic and purposeful air around this prefab school contrasting sharply with the hopelessness of the sprawling impoverished informal settlement right next door. At this successful school, teachers meet opportunities for change with enthusiasm and this contagious energy among a staff with existing positive relationships creates and builds a team for success. Krashen, S.D. (1981) Bilingual Education and Second Language Acquisition. Schooling and Language Minority Students: A Theoretical Framework, 51-79. Microsoft’s annual Skype-a-Thon is a 48-hour long event that aims to connect classrooms across continents, travelling over 10 million virtual miles and connecting half a million students. Between 28 and 29 November 2017 a number of schools in South Africa and Lesotho got involved by connecting with other students, sharing stories, playing games and collaborating on subjects that the classes shared in common. 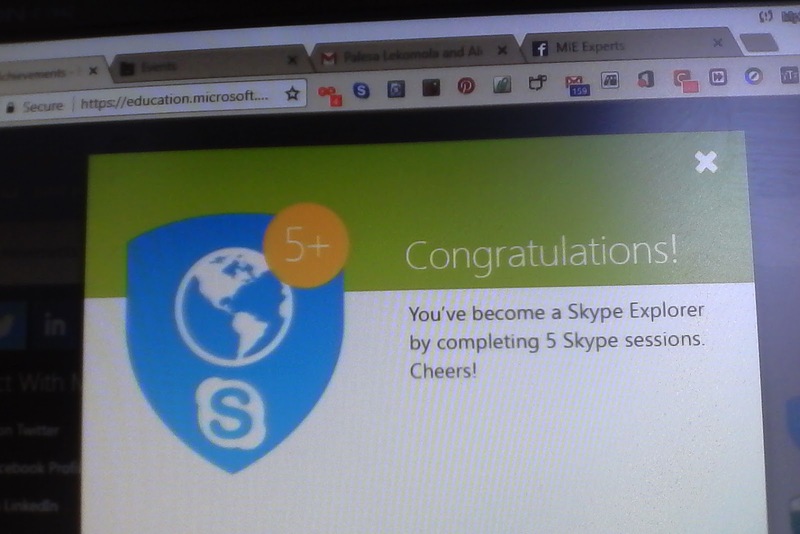 Microsoft Innovative Educator Expert Mpho Phakisi of Lesotho got her students involved in the Skype-A-Thon. She connected her learners from Phethahatso English Medium Community School with learners in Libya, Malaysia, Russia, Canada and France. 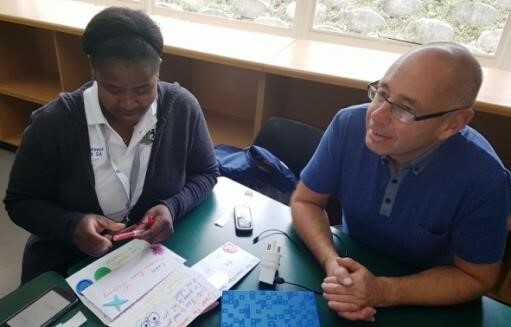 As exciting as it was for the Lesotho learners to get to speak to learners from different countries, it was as exciting for the foreign learners to connect with children from the mountain kingdom – in a small country they had possibly never heard of. 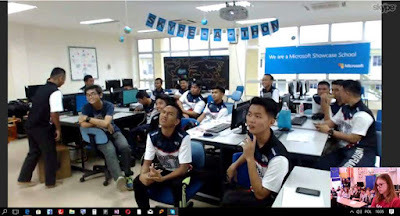 Mpho said, "We had a great session with Aliff Othman class from Malaysia touring their Art classroom"
Mpho has recently completed an Advanced Certificate in Teaching part-time through the University of the Free State and enjoys integrating technology into her lessons. By being part of the Skype-A-Thon, Mpho earned her Skype Explorer badge on the Microsoft Educator Community for participating in five Skype in the Classroom sessions. 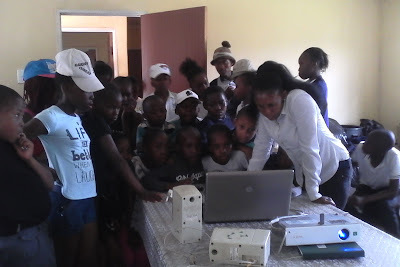 Mpho commented that her learners were so motivated by the experience that they want to share their activities and their culture in next year's Skype-a-thon. SchoolNet Conference goers in 2017 will remember the valuable contribution made by our overseas presenter, Peter Rafferty and his infectious enthusiasm for innovation in teaching. 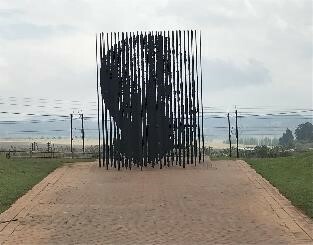 He has taken the time to write this article about his visit to South Africa. Even more interesting is the way he relates his experiences in South Africa to his own experiences as a learner when he was at school and as a teacher now in England and somehow Peter manages to subtly highlight the impact that technology has had on teaching and learning. "In 1966 Francis Chichester became the first person to sail single handed around the world by the Clipper route and in doing so became the fastest circumnavigator in nine months and one day. I remember his journey pretty clearly, because as a pupil at St Anne’s Primary School (Ormskirk, UK) we followed his journey as a class project on a great big map on our classroom wall. The thing I could never quite understand, at the time, was that Francis Chichester (and his boat) disappeared off the map, east of Australia and New Zealand and then, somehow, magically appeared west of Argentina and South America. I recall our teacher, Miss Sissons, repeating the phrase, “this map is flat, the world isn’t….” as a seven year old, I just didn’t get it. Other notable things I remember about the project was watching Francis Chichester on television land at Plymouth harbour (wobbly legs), the description of his journey round Cape Horn (because of the huge waves and rough seas) and The Cape of Good Hope (because of why it is called “The Cape of Good Hope”). Where Miss Sissons got the rest of the information about this epic voyage from, or how long it took to appear on our classroom map, I’m not quite sure, and in all fairness, I don’t remember much else, but things stick and random connections develop. Les Sables D’Olonne is a small harbour town on the west coast of France. For a while, when my children were younger, we used to go on holiday there every year. It’s a lovely place and is the start and finish point of the four yearly Vendee Globe. This a single handed, round the world yacht race and, especially in France, is a huge event. Ellen MacArthur is quite famous because of it and just like when I was a pupil at St Anne’s, as a teacher at Green Park Primary School (Maghull, UK) my class followed a round the world single-handed yacht journey on a great big map on the wall in our classroom. Of course technology changed the way this particular adventure was viewed. Everything was online. 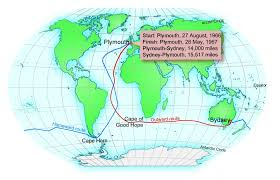 Where she was, what she did, everyday trials and tribulations and we saw her, as near as time zones permitted, instantly as she battled past places like…... …….the Cape of Good Hope and Cape Horn. 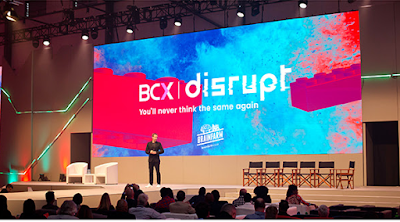 The information was presented to us as part of a global audience of classrooms, television companies, individuals, just about anyone who was interested. For our class, it was a window on a world event that we could actually participate in. 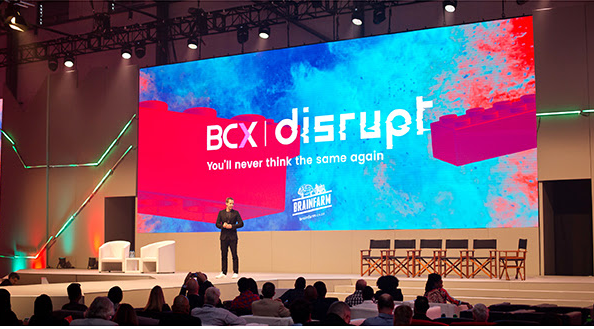 The reason we were there was because of an invitation by Janet Thomson and her team at SchoolNet South Africa (including Intel Visionary Omashani Naidoo) to come along to take part and present at their 20th birthday conference. The invitation was as exciting and thrilling to me as Istanbul 2005. 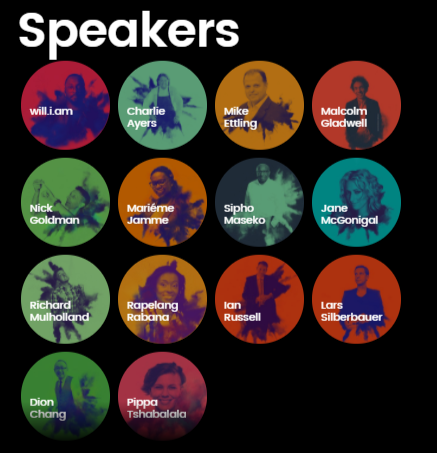 Not least because it gave me a platform to talk about my enthusiasm, passion and belief that skilled and effective use of technology has an absolutely vital part in teaching and learning wherever in the world anyone happens to be.. These things happen, and will continue to happen, with technology, but for each of these kind of stories there are lots of examples of teachers inspiring students, connecting events and making learning better, with the use of technology. Getting the best of what is available for the children we educate, and using it with skilled creative imagination is essential. Choosing not to, isn’t an option I think and here’s the thing. Everyone I met, spoke to, had conversations with, presented, and gave workshops, whether at the conference or in more informal “social” settings were there because they wanted to be there and to make a difference. Whatever the conference brought to them to develop their teacher technology skills they will go back to their schools with the enthusiasm and determination to make a difference that brought them there in the first place. I often see or hear the phrase, “it’s the teacher not the technology”. Here in South Africa as people headed home on trains, planes and automobiles (as well as packed coaches) it most definitely was. One of the last places we visited, and just round the corner from The Cape of Good Hope, was Boulders Beach. We knew it was home to a colony of African Penguins but the knowledge we had didn’t prepare us for the sight we saw when we arrived at the beach. It was exactly the same feeling you get when you see an inspirational teacher. 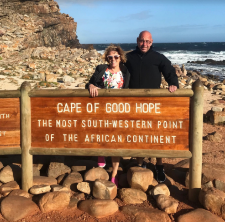 is was a brilliant trip that had taken us from Maghull to Manchester to Doha to Johannesburg to Pietermaritzburg to Cape Town to The Cape of Good Hope and back again. We encountered a wonderfully friendly, young country, full of people who smiled and shared their enthusiasm. In the middle of it all is Nelson Mandela. " Microsoft is once again teaming up with Code.org to support the Hour of Code. Although the activities on code.org/minecraft can be completed at no cost at any time, learners around the world are encouraged to be part of an initiative to get students learning the basics of coding during Computer Science Education Week – between 4 and 10 December 2017. You may have got your learners doing the Minecraft themed Hour of Code activities last year, and if you would like to use these tutorials again, they are still available. This year, however, Minecraft is supporting the Hour of Code with a NEW Minecraft tutorial that introduces a new character: the Minecraft Agent! This tutorial is focused on helping students learn to write code that will help their Agent overcome obstacles. Using the Minecraft world they know and love, students of all ages and any experience level can learn the basics of coding, and how to use problem solving and critical thinking to achieve their goals. 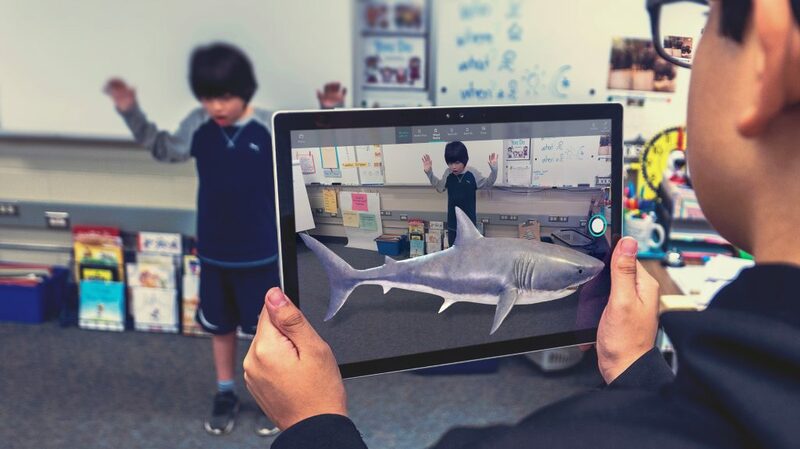 Technology is constantly changing the way we navigate the world, and there is a growing need for students to build new skills to help them be successful in the future. In some cases, to prepare them for jobs and careers that don't even exist yet. Coding is a way to empower young people, and gives them the tools they need to not only express themselves, but help them transform the way they think critically and solve complex problems. All young people deserve the opportunity to learn the skills they need to find their passions and succeed. Coding is a great way to help them go from simply interacting with technology - to creating it. Sign up your centre to run an Hour of Code workshop here. You can use the free facilitator's guide, quick tip sheet, and PowerPoint slides to lead your own Minecraft Hour of Code. Once complete, students can import their code into Minecraft: Education Edition to bring their own creations to life in the real game! Hour of Code is organized by Code.org, a Microsoft YouthSpark grant recipient dedicated to expanding participation in computer science by making it available in more schools and increasing participation by women and other underrepresented students. After looking through all the Google posts that were shared to various subscriptions recently, these are a selection that look useful for teachers https://goo.gl/NWoBGD . (The link to previous posts can be found here https://goo.gl/CNO3M2).